We are writing you because we are desperately concerned for our comrades in Colombia. You probably already know that last year was the worst year in well over ten years for murders of human rights defenders, eco-defenders, and popular mobilization leaders. Well, it has just gotten worse. We are getting messages from leaders in our closest partner organizations asking for help in relocation outside the country, asking for accompaniment, telling us that they are in fear for their lives. We are hearing daily of new assassinations. 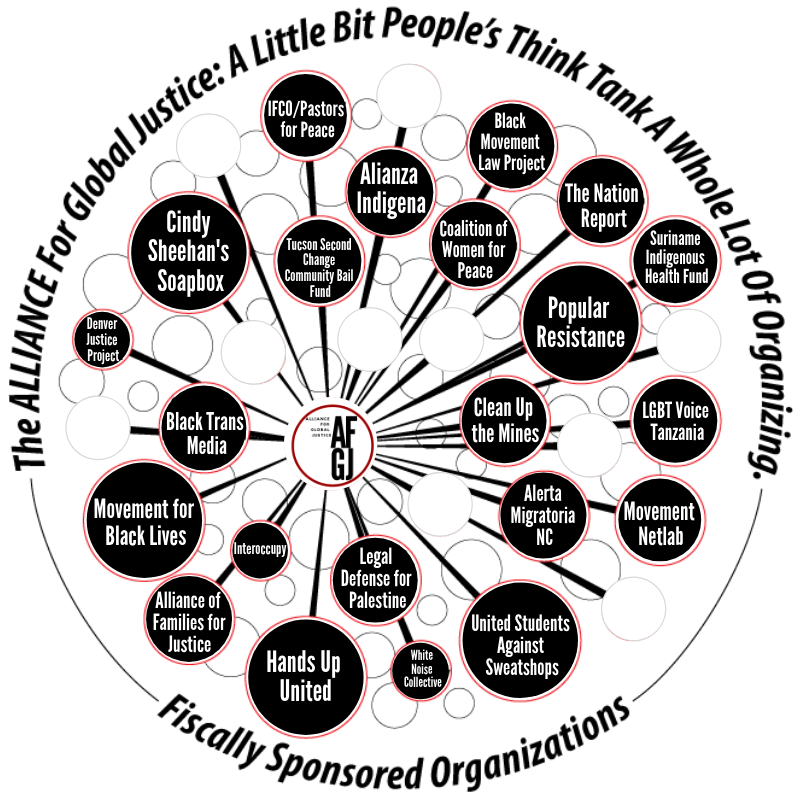 We have close connections to founding organizations of the Marcha Patriótica, an organization that is being disproportionately targeted. Likewise, indigenous, Afro-Colombian, and campesino communities are bearing the brunt of assaults and threats. We may be witnessing a new genocide against the Left such as what took place against the Unión Patriótica during the 80s and 90s. The June 17, 2018 election of Ivan Duque as Colombia’s president has given a green light to paramilitary and state forces who terrorize Colombia’s most vulnerable communities. As of July 4, at least 20 popular movement leaders had been assassinated. Duque is a disciple of death squad patron, narco-trafficker, and former Colombian president Álvaro Uribe. Duque has pledged that when he takes office on August 7th he will immediately undertake measures to start dismantling the peace accords that ended the war between the Colombian Government and the FARC-EP. Therefore, the Observatorio de los Derechos Humanos del Pueblo (People’s Human Rights Observatory), The Coordinadora Americana por los Derechos de los Pueblos (Americas Coordination for the People’s Rights), Alliance for Global Justice (AfGJ), School of the Americas Watch, and Camino Común are calling for August 7th to be an International Day for Peace in Colombia and against State and Paramilitary Terror. There are also calls that have been issued in Colombia for national mobilizations on that day, including by Center-Left presidential candidate Gustavo Petro. 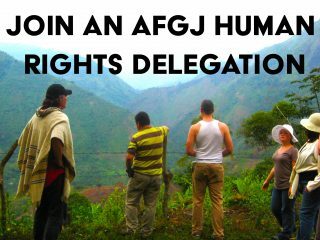 Contact James Jordan at James@AFGJ.org or call +1 202 544 8336, ext. 3, for more information. The threats are very serious. We have seen our friends and sister organizations mentioned by name on paramilitary advisories declaring them “military objectives” and calling for their extermination. People we personally know are being followed and assaulted. Our comrades are being killed. We do not have the resources alone to help relocate people or provide long term accompaniment. We give references where we can, and we believe that there needs to be a conversation among a network of groups about how we can respond to these requests. But even if we could intervene to save some lives here and there, we still would only barely be affecting the overall problem. This is an issue that needs to be dealt with systemically, through political struggle. One thing that we can not and must not do –is to allow our Colombian comrades to suffer in vain. The strategy of the death squads, the extreme right, and the US/transnational corporate Empire is to criminalize and intimidate the Left/opposition/resistance into submission, and to jail, displace, maim, and kill those who continue to speak out. In times like these, it is essential that international solidarity activists use our privilege to step forward and speak loudly where our comrades are unable to do so, to listen to what they often must whisper, and to amplify it so that it may be heard around the world. The worst thing that can happen to our Colombian comrades is that their messages, that the struggles that they are willing to risk their lives for, should be silenced. We must recognize that this is not just a matter of putting pressure on Colombia. The US government has never done what was needed to fully back the peace process, including under the Obama administration, which refused to end the incarceration on bogus charges of the FARC-EP peace negotiator Simón Trinidad, whose presence was needed at peace talks in Havana, Cuba. Trinidad is still held in isolation at the Florence, Colorado Supermax prison. But under the Trump administration, the pressure for Colombia to abandon the peace accords has become an active matter of White House policy. Trump met privately with far-right leaders at his Mar-a-Lago resort over a year before the presidential elections, and since then, his administration has repeatedly called for an end to programs for voluntary eradication of illicit crops in exchange for rural development and crop substitution programs. Instead, they have pushed for violent eradication and fumigation programs that have resulted in multiple killings and forced displacement. Right now they are further threatening the accords by pressing for the extradition of FARC negotiator Jesús Santrich on unsubstantiated charges. We are asking our sister organizations to endorse the call for an August 7th International Day for Peace in Colombia and against the State and Paramilitary Terror. We are asking people to organize demonstrations and vigils at Colombian consulates and embassies, and/or US government buildings and congressional offices. We also encourage people to visit US and Colombian government offices to deliver copies of the “Five Demands for Peace in Colombia” open sign-on letter, with endorsers that include Nobel Peace Prize winner Adolfo Pérez Esquivel, linguist Noam Chomsky, and former Colombian Senator Piedad Córdoba. The election of Iván Duque has already spurred a distressing increase in the murders of social movement leaders. With his ascent to the presidency, these killings will increase and the assaults on the peace process by both the Colombian and US governments will continue. The only way to slow or stop this violence is through popular pressure — and international solidarity is a vital component. If your group would like to endorse this day of actions, or if you can help organize an event or deliver the Five Demands letter, please contact James Jordan at James@AFGJ.org or call 202-544-8336, ext. 3. ← Webinar, July 5, 8pm Eastern: What Now for Mexico’s Popular Movements?